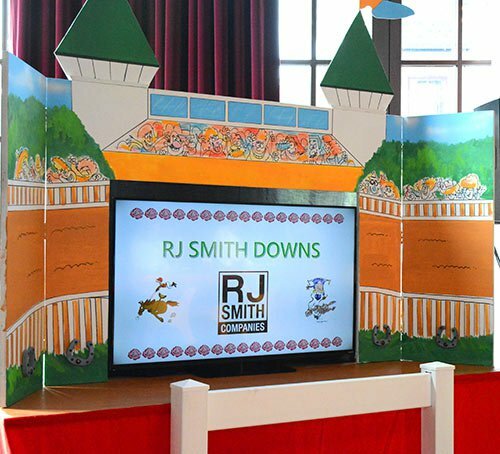 This is a high energy, interactive, fun-filled party featuring dancing and horse racing! There are 5 races with 6 beautifully animated horses. 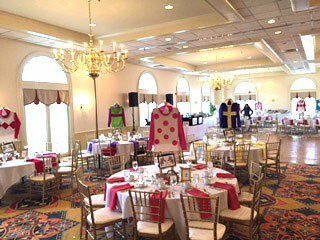 The races are 2 minutes each and run through the evening with customized horse owner names of selected guests or host companies of the event. Races are recorded by a professional announcer in the studio.Each guest is given a Race Program and circles their winning horse choice. We run the race from our “Twin Spires” station and the winners come to our Wagering Windows to claim their prize ticket for door prizes at the end of the night. Our Dynamic DJ dances the guests between the races and keeps the energy building through the last race of the night. Those interested in Fundraising events can use the horse stable ownership option for donors to “buy a horse” or to “buy a stable”. 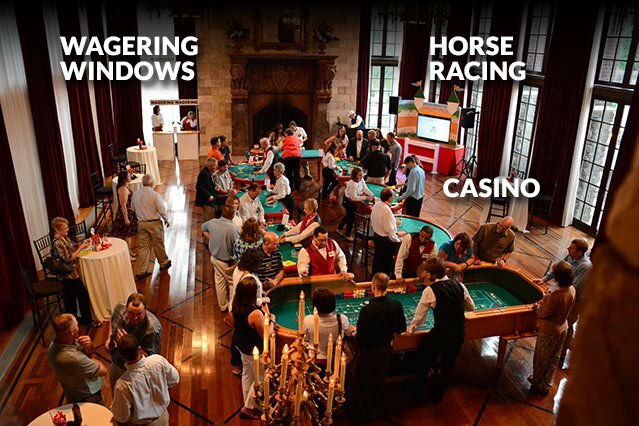 Add more excitement to the Derby N Dance party with a “real” casino using the finest quality casino equipment! Betting takes place with play money and prizes can be won at the end of the night. We feature Blackjack , Roulette, Craps and the Money Wheel. Added fun features – showgirls, Vegas impersonators (Elvis, Wayne Newton and Marilyn Monroe), lights and decorations.